Location: At the end of a short access drive running west from an unnamed minor road. Present state: Demolished - no evidence of the station remains. 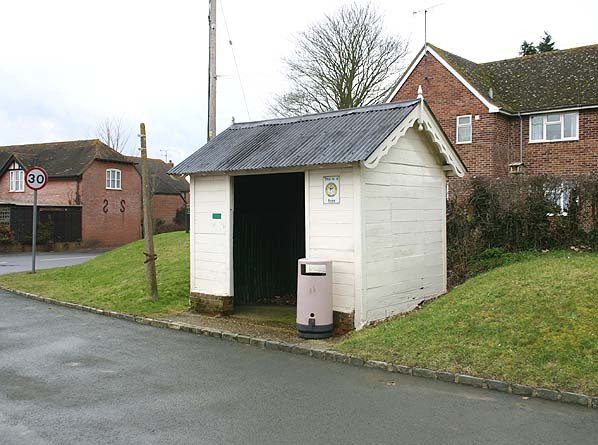 The station shelter is still in use as a bus shelter in Boxford village. Notes: Boxford Station was the first stop on the route that had been equipped with a small goods siding in the form of a passing loop. 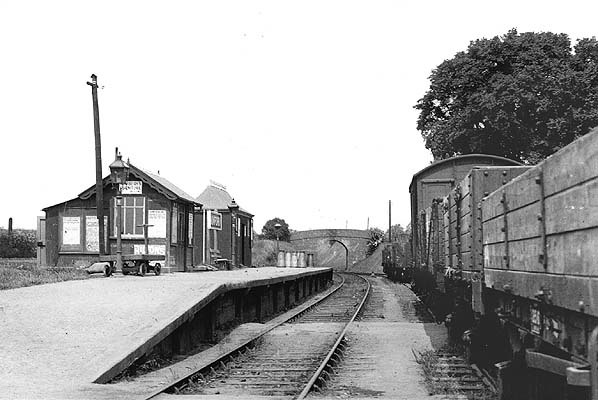 Like all other stations on the line, passenger facilities were sparse, public access was a basic cinder crossing that led from the goods yard to the ramp at the Newbury end of the platform. The original platform was only 9" high but in 1908 the Board of Trade approved plans for the partial reconstruction of the station. These included lengthening the platform by some thirty feet and raising it to standard height; a GWR pagoda style shelter and station office were also provided. The siding length was increased to accommodate up to nineteen wagons. Like all of the intermediate stations on the Lambourn branch the platform was topped with cinders and fine gravel while it's leading edge was built of sleepers. Rails sunk vertically into the ground supported the entire structure throughout its length. Freight traffic was agricultural consisting of quite sizable quantities of corn, barley, hay, straw, timber, milk and eggs. The amount of traffic handled was impressive and accounted for a high percentage of the receipts for the branch. The station was unstaffed from 2.8.1954. Freight traffic continued after closure until 4.1.1965. After closure to passengers, the wooden shelter was moved to a site adjacent to 'The Bell Inn' in the centre of the village where it still acts as a bus shelter. 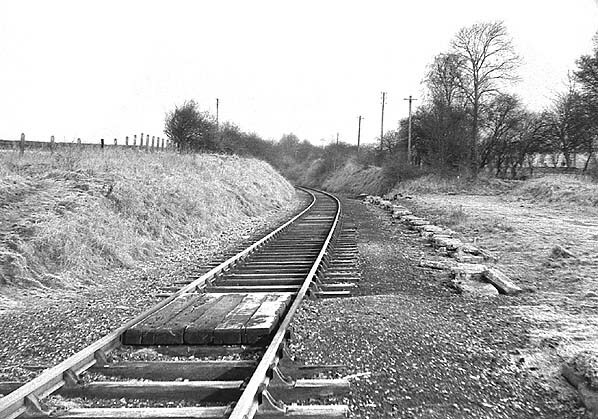 Looking north from the site of Boxford Station in February 1969. The end of the platform would have been on the left.